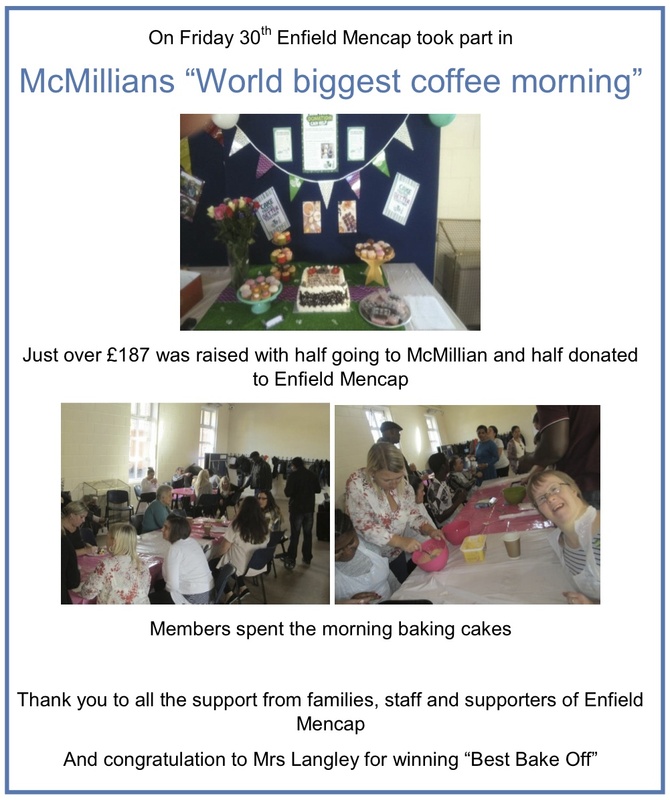 Enfield Mencap helps adults with a learning disability to improve their quality of life and move towards independence and a fulfilled lifestyle, working with them and their families through a person-centred approach to life planning. We provide a range of quality services both at The New Opportunity Centre in Edmonton and out in the community. All services are developed around an individual service user’s needs and aspirations, identified through regular planning meetings and person-centred reviews. Service users are encouraged to take a holistic view of their lives encompassing leisure, work, education, social and home life. Enfield Mencap has been working in the London Borough of Enfield since 1965 and we welcome service users from adjoining Boroughs, Hertfordshire and Essex. Enfield Mencap is affiliated with National Mencap.